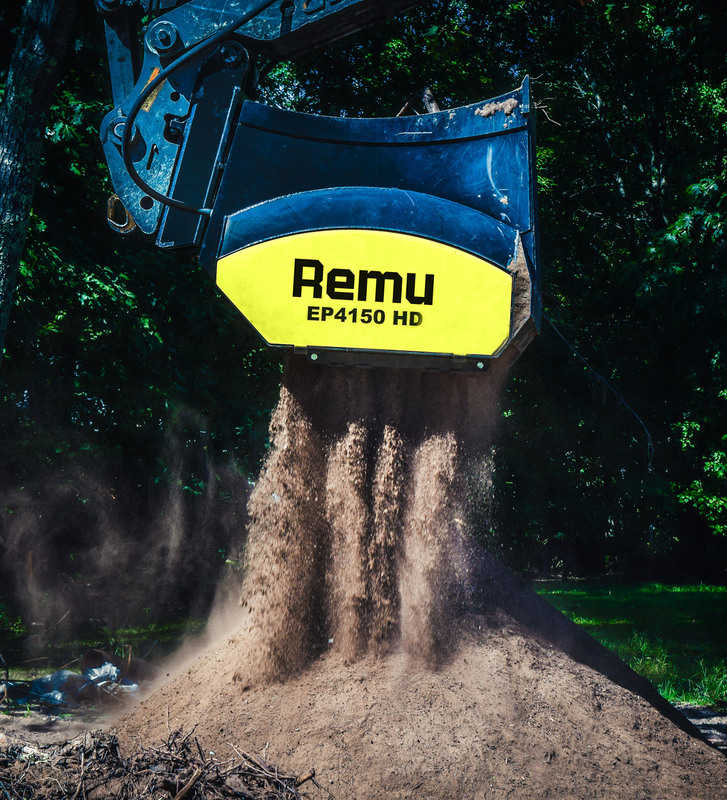 which our screening buckets are suitable for. Please note that the list is not exhaustive and you can discuss your unique application with our team. 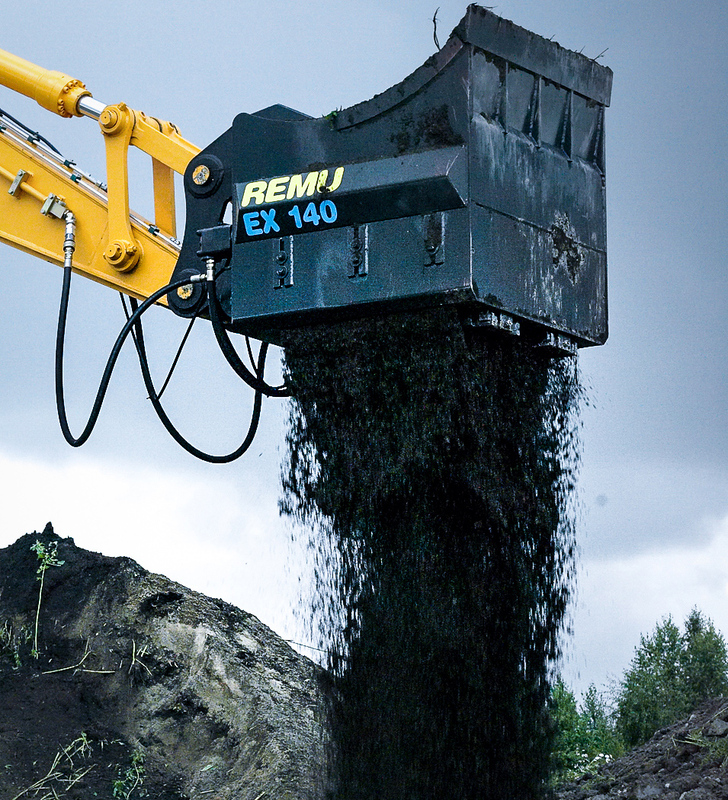 Screening buckets can process various organic materials. This bucket in Spain is used for screening very dry industrial bypass. One of the most rapidly growing applications is preparing padding material onsite to protect gas and oil pipes. This bucket model PD 2160 is specially designed for padding and is operated in the USA. Aerating is one of the various techniques that is used to clear the polluted ground when cities expand to old industrial areas. Aim: Mixing and aerating soil to accelerate natural decomposition of harmful chemicals. Aerating is one of various techniques that is used to clear the polluted ground when cities expand to old industrial areas. 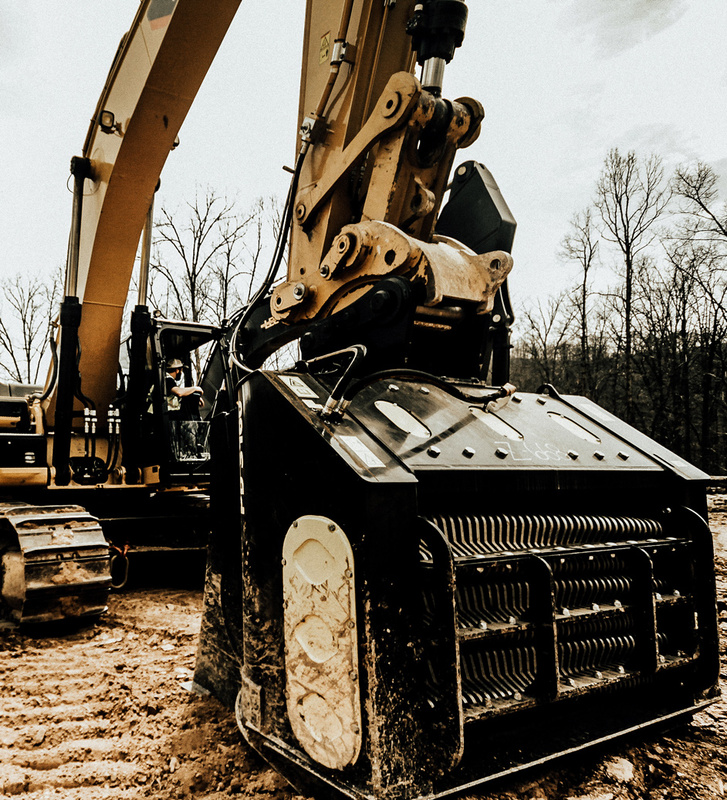 Onsite processing of demolition waste reduces the amount of material ending up in landfill. The PD 3160 was used at the demolition site of an old hospital in UK. 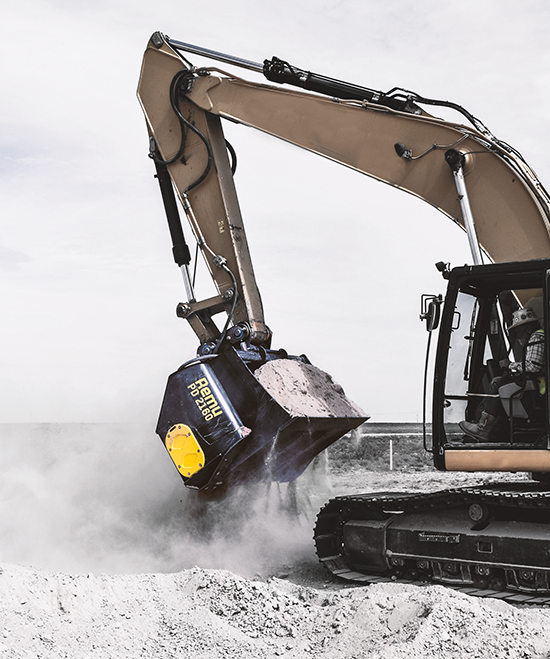 Screening buckets with aggressive blade models can easily process coal and break it down to a smaller particle size. 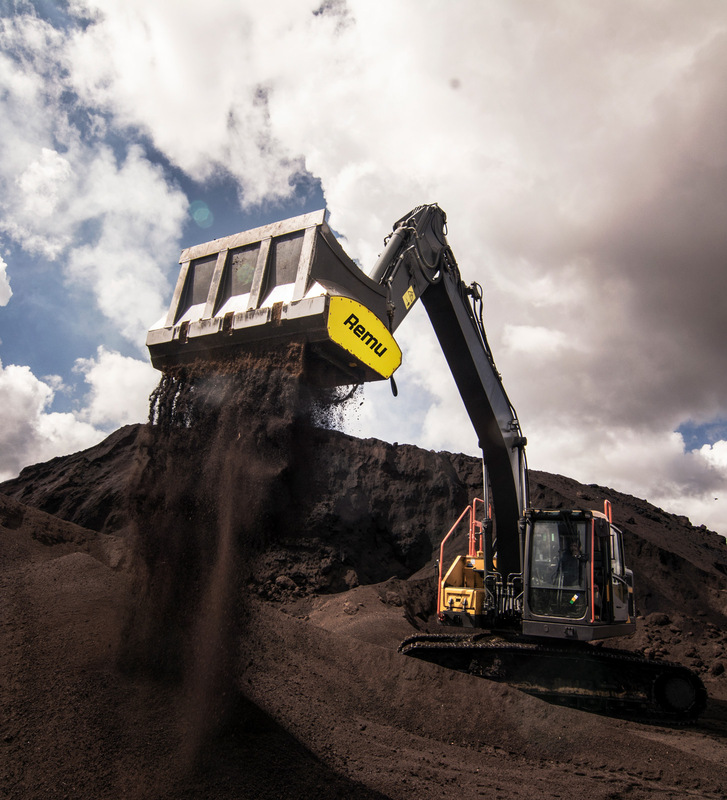 In the UK coal was processed with the EE 4220, which is second largest of our buckets. Screening bucket with aggressive blades model can easily process coal and break it to reach smaller particle size. 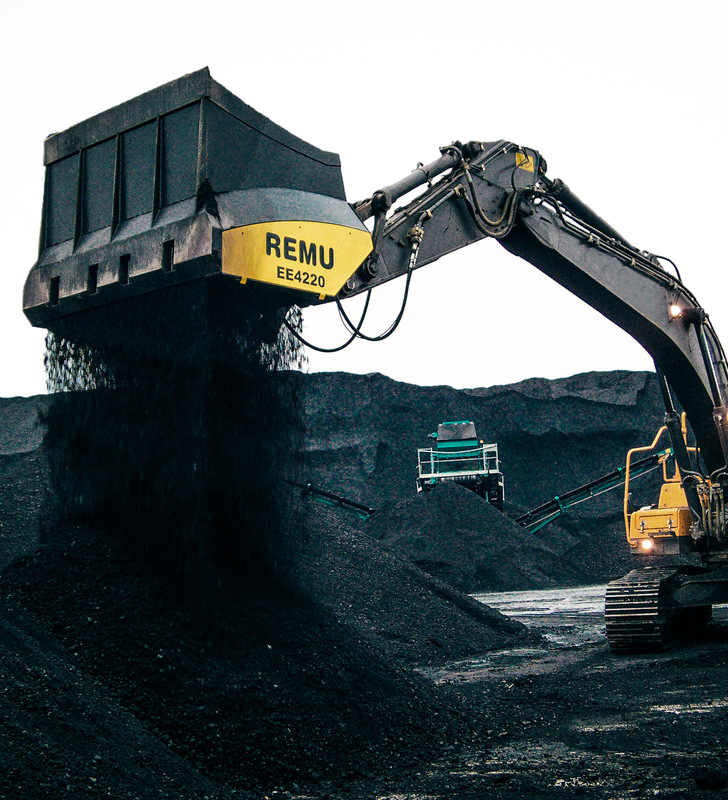 In UK coal was processed with EE 4220 that is second largest of our buckets.